Budapest, August 26 (MTI) – The justice ministry has called a meeting of parliamentary parties for September 2 to discuss a proposal to establish public administration courts in Hungary, the ministry said on Friday. The government wants to set up a system, similar to other international practices, where a professional higher court operates under the supreme court, the Kúria. This court would effectively monitor the executive branch of power while ensuring unified and high-standard legal practices, a statement from the ministry said. Justice Minister László Trócsányi had raised the idea of public administration courts at his committee hearing before taking office on June 3, 2014. Introducing the new system will require several law changes and the ministry has set up a codification committee to help this work, it said. Setting up a public administration judiciary has been an unfulfilled need since the transition to democracy, the statement said. Government spokesman Zoltán Kovács announced on Tuesday that the strategic cabinet has approved the proposal for setting up the courts. 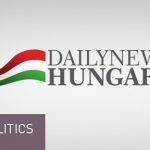 On Thursday several opposition parties, leftist opposition Democratic Coalition (DK), the opposition Dialogue for Hungary (PM) and the Liberal Party protested against the plans. The Socialist Party said on Friday that it will not support the proposal for the public administration courts in parliament and will stay away from the five-party talks as well. 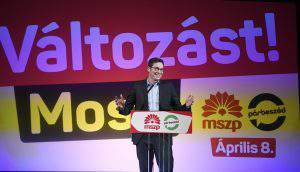 The Socialists are of the view that the new courts would help lessen the accountability of the ruling Fidesz party and state authorities, Bertalan Tóth, the party’s parliamentary group leader, told a press conference on Friday. 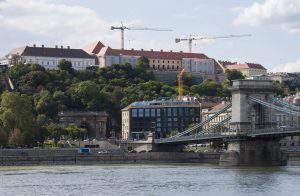 The proposal says that the new court would have the power to judge legal disputes over decisions made by the Media authority, the National Bank of Hungary, the Public Procurement Arbitration Board and the National Election Committee. 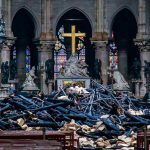 “This is as if the accused were to choose the jury members from among his family members,” Tóth said. On another subject, Toth said the Socialists demand that the justice ministry disclose the name of its candidate for the post of Strasbourg Human Rights Court judge, to replace Hungarian judge András Sajó whose term will expire in January next year. “We suspect that the government will be sending a Fidesz-friendly cadre to this high-level post,” he said. “We suspect that the government will be sending a Fidesz-friendly cadre to this high-level post,” he said. The Hungarian government has selected three candidates for the post, the justice ministry said in a statement. They include Krisztina Füzi-Rozsnyai, a law professor at the Budapest ELTE University who had worked at the Constitutional Court in the past, Balázs Schanda, law professor at the Pázmány Catholic University and Zoltán Tallodi, a constitutional and human rights lawyer working now as deputy department head at the justice ministry. Justice Minister László Trócsanyi has initiated a hearing of the three candidates by parliament’s justice affairs committee, the ministry added. A vote is expected to be held in the Council of Europe’s Parliamentary Assembly in October this year, it said.